Construction management is far too complex a discipline to be learned solely from a textbook. It takes years of hands-on experience in a multitude of specialties, and at many levels of management. NCM Management grew out of a New England-based heavy construction firm that, in its first 15 years of operation, has completed over 70 municipal projects totaling well over $150 million. In 1975, a founding owner and two senior managers formed NCM. Their goal was to provide owners, developers, contractors, and design professionals with complete construction management and consulting services. Together, NCM principals and professional staff have over a century of construction project experience. Specialized expertise exists in the areas of labor and materials procurement, project scheduling, computer assisted estimating, value engineering, and construction problem solving. AT NCM, WHAT YOU SEE IS WHAT YOU GET. NCM Construction Management is exclusively a construction management and consulting firm. So there is no equipment overhead or hidden agendas to worry about. 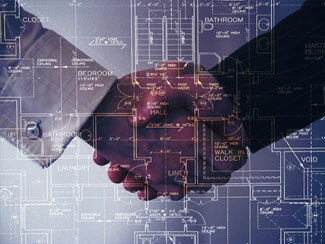 Our role is exclusively that of an owner's advocate and construction manager. We manage and control the project with his or her interests and concerns in mind. Because we work for a fixed fee, our financial incentive is the repeat business that results from satisfied clients, not costly mark-ups on change orders. NCM works directly for you, the owner. Our job is to provide you with sound recommendations based on clear facts and well-presented analyses. We provide the experience and the information to help you make informed decisions during the preconstruction phase. Reliable schedules and accurate cost information strengthen your position. Each step of the bidding process and construction phase is available for your inspection and approval. You determine the level of your involvement. NCM manages and administers your project strictly according to your objectives and interests. Copyright© April 2019 NCM Construction and Mainstay Technologies, LLC. All rights reserved.